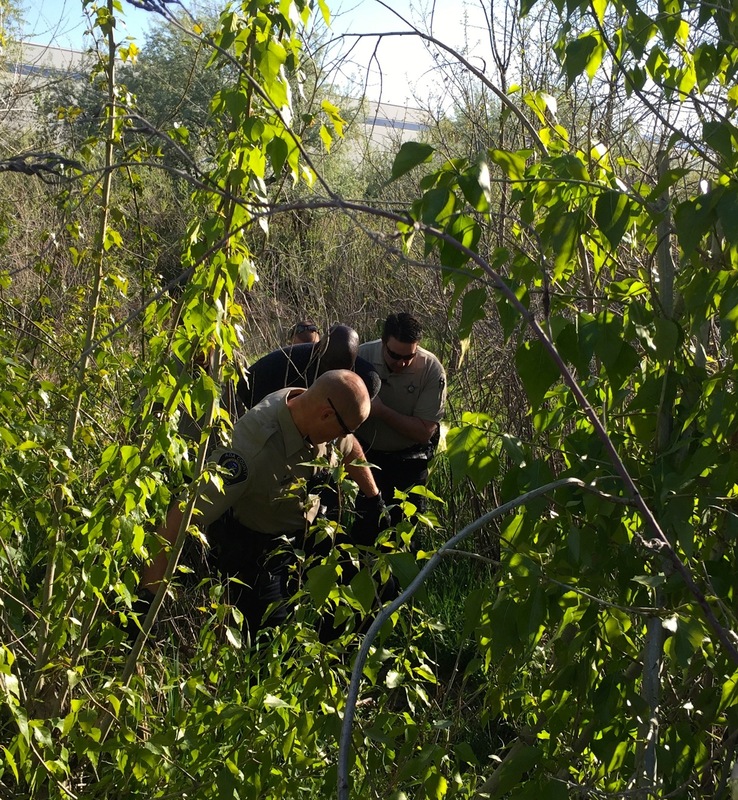 Eagle Police arrested a 46-year-old Boise man standing in a drainage pond behind the WinCo store Tuesday morning after he tried to hide there to avoid arrest in connection with a domestic violence call. Andrew J. Eshun is charged with felony counts of domestic battery when a child is present, attempted strangulation, and aggravated assault in connection with the domestic violence case. Eshun is also charged with a misdemeanor count of resisting arrest for hiding and then running away from officers. Eagle Police began their investigation just after 8:30 a.m. Tuesday after getting a 911 call reporting a domestic fight at a home in the 600 block of Shadow Fox Place, which is in the Floating Feather/Horseshoe Bend roads neighborhood. A woman who lives there told officers Eshun physically attacked her and then pulled out a butcher knife and threatened her with it during an argument right before police arrived. There was an infant in the home at the time. Eshun ran away after the woman was able to go a neighbor’s house and lock him out. Officers began searching the neighborhood for Eshun. They located him a short time later inside the WinCo store at 3032 E. State Street. As soon as Eshun saw the officers, he took off running through the store and left through a fire exit, which caused an alarm to sound inside the store. Once outside the store, Eshun ran into some bushes and the drainage pond behind the building before stopping and surrendering to police. Eshun will make his initial court appearance Wednesday afternoon.